Fans of Tamil superstar Vikram have a reason to rejoice as their actor has bagged director RS Vimal's upcoming magnum-opus Mahavir Karna. The film was earlier planned to be made with Malayalam superstar Prithviraj Sukumaran, who had starred in RS Vimal's Malayalam blockbuster film Ennu Ninte Moideen. However, it has been now finalized that Vikram will essay the lead in Mahavir Karna, which also marks the Bollywood directorial debut of RS Vimal. 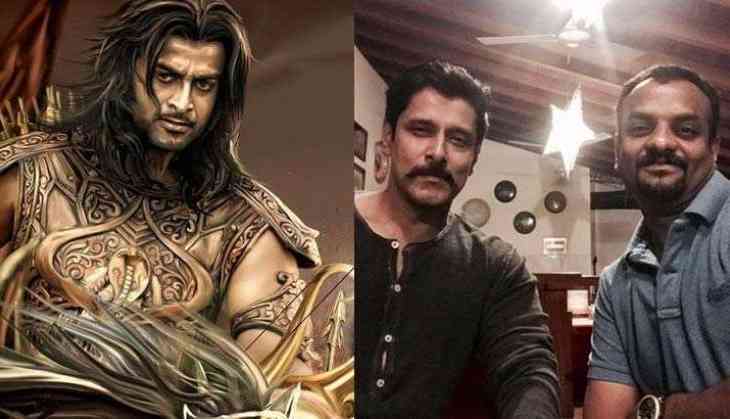 Vikram will be seen portraying the lead role of Karna in this epic period drama. The film is reportedly being made for a whopping budget of Rs. 300 crore by the New York-based production house United Film Kingdom.